Technical. This image was obtained with a stock Canon 7D Mark II 20-megapixel digital camera and 300 mm f/2.8 L IS II lens at f/2.8 and ISO 3200. No dark frame subtraction, no flat fields. Tracking with an Astrotrac and no guiding. Forty three minutes total exposure (86 30-second exposures). 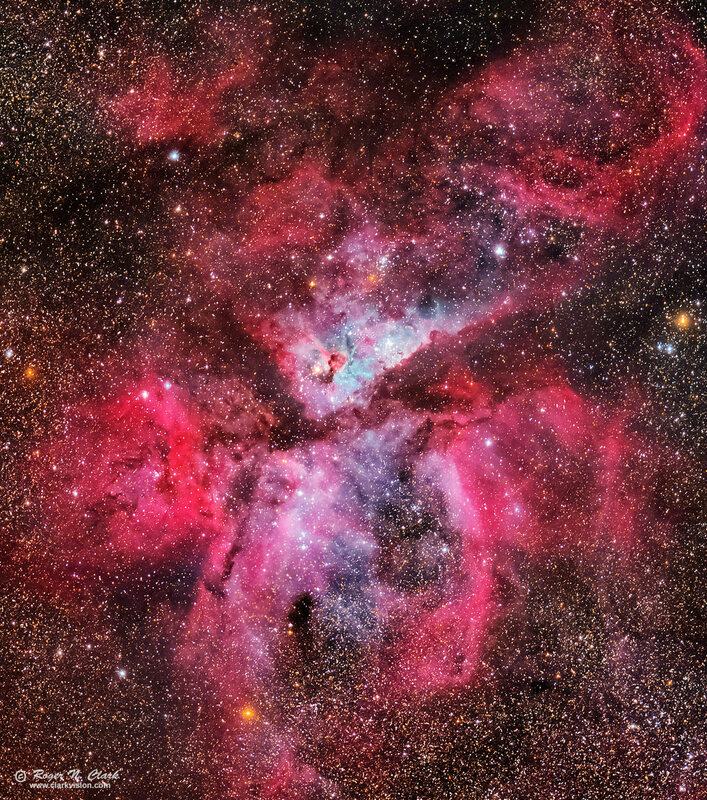 This image is a crop to show detail in the main nebula region. This image was obtained with My Very Portable Astrophotography, Landscape and Wildlife Photography Setup.